A mysterious man told him he was too close to the truth. “When the series was just on TV, someone came up to me and said he worked for a secret government agency and we were very close to the truth”. “When we were about to broadcast the episode, I was contacted by the FBI:” Who are you and what do you do? “I thought for a moment that the production would be halted by the long arm of the law”, said Carter. The iconic series is back on TV for the first time in 14 years again. There will be all kinds of subjects such as alien life, false flag operations, paranormal phenomena, free energy, secret technology, reverse engineering and kidnappings. The X-Files aired between 1993 and 2002 more than 200 episodes in total, spread over nine seasons. The series was a great success worldwide and won 16 Emmy Awards, five Golden Globes and numerous other awards. “Last year I met a scientist from Asia who invented this. Free energy from waves coming from space. A metal stick (antenna) is enough to generate energy for an entire apartment complex. “The world has become even stranger during the long break of 14 years, so it is the perfect time to tell these stories”, Carter said. The series is about two FBI agents, Dana Scully and Fox Mulder, doing research on mysterious business, so-called X-Files, where the FBI not know how to cope. 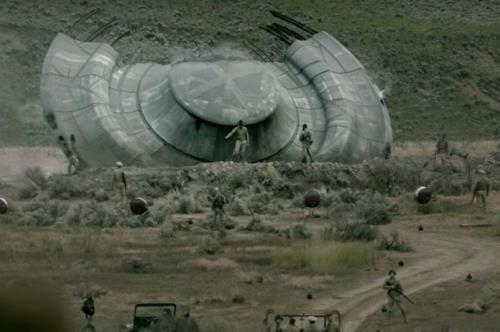 From crop circles to government conspiracies that reveals the presence of aliens on Earth.